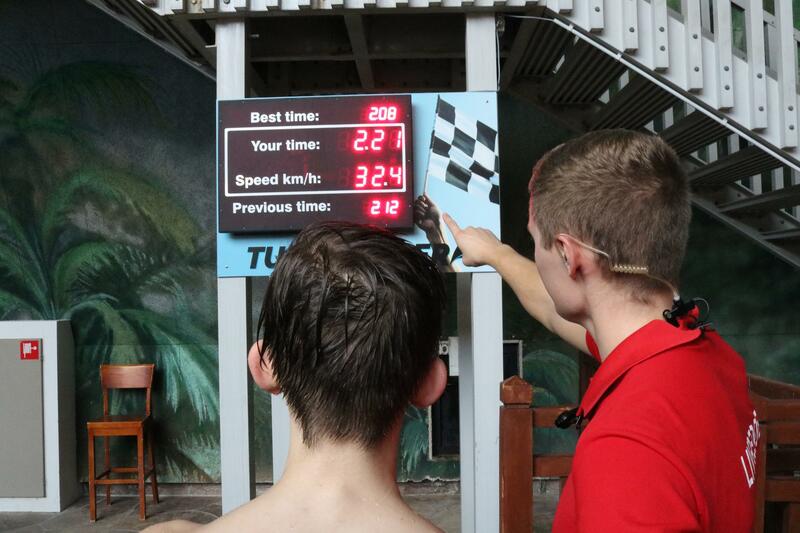 Distance from main building to LEGOLAND 500 m.
LALANDIA offers more than 800 holiday houses and the distance to LEGOLAND can vary between 0,5-3 km. At Lalandia, you stay in a modern holiday home with LEGOLAND® as your nearest neighbour. 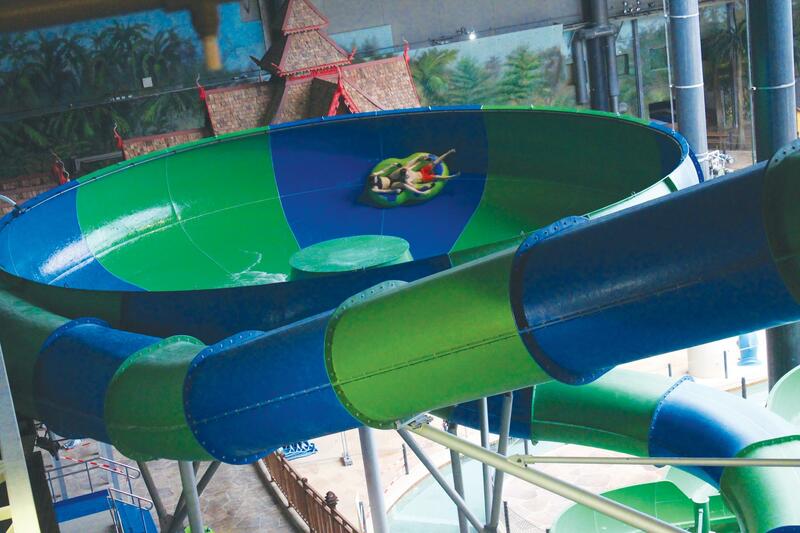 You can look forward to enjoying the tropical climate in the huge Aquadome and discovering the attractive arcades. 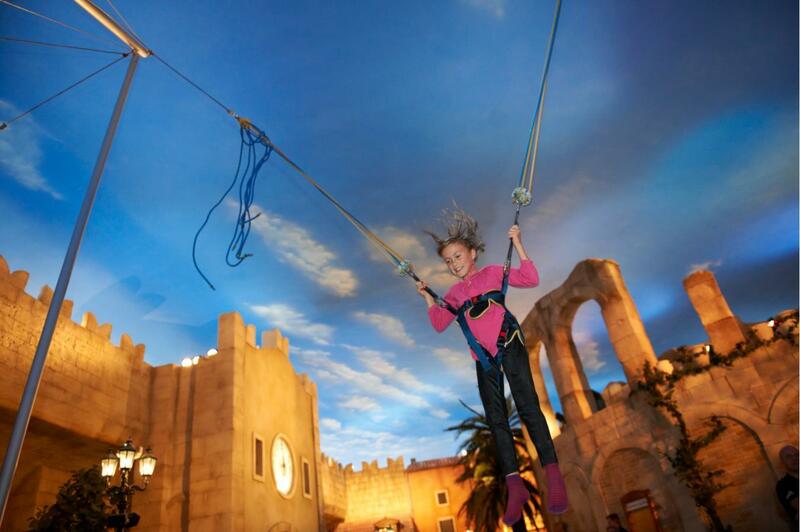 Lalandia is the setting for a successful holiday – whatever the weather. 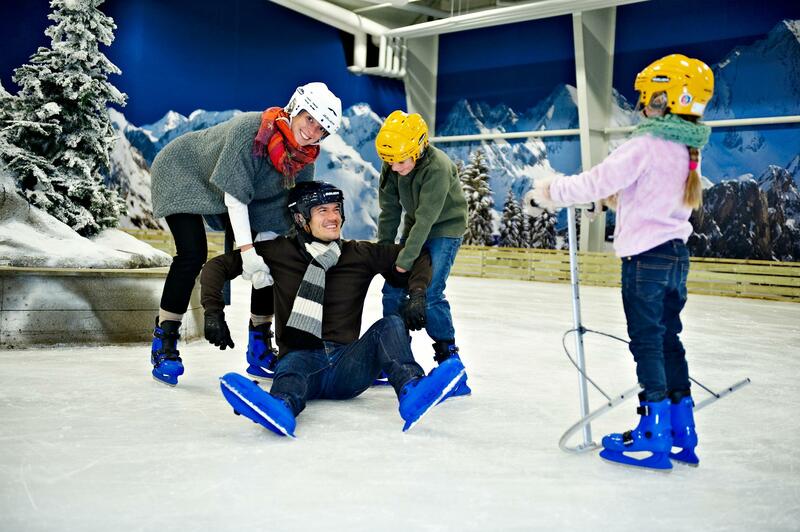 Let the family loose in a wealth of experiences and activities for young and old. Enjoy the pleasures of bathing in the Lalandia AquadomeTM, home to a range of water activities, lots of fun, and last but not least, pampering for body and soul. 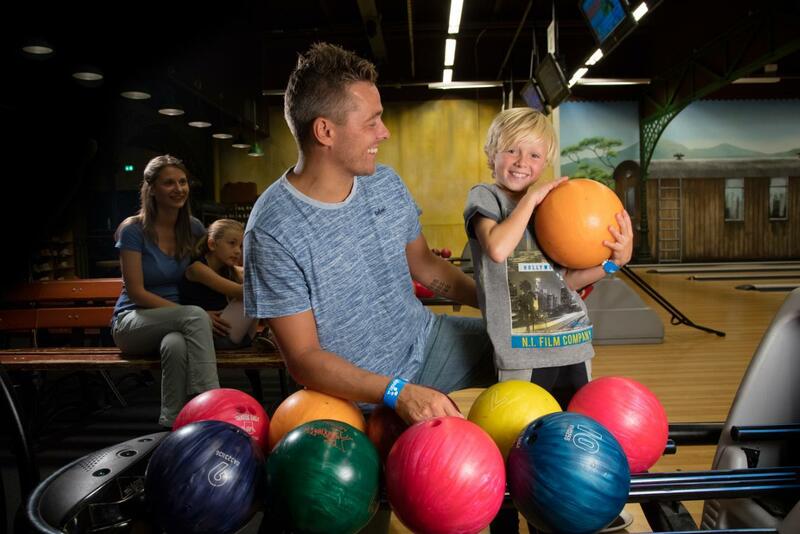 Take your family exploring in the huge covered arcades featuring sports facilities, activities, entertainment, cozy restaurants and exciting shops. 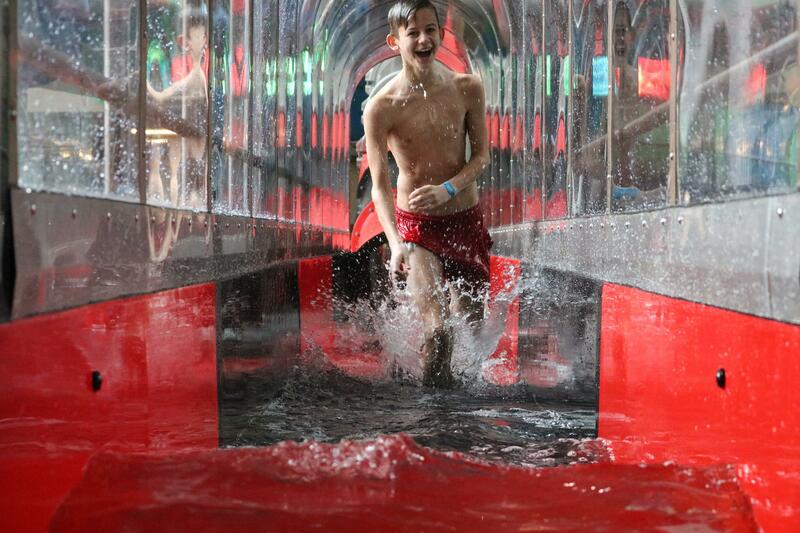 There is always something fun to do here – regardless of your age or interest. 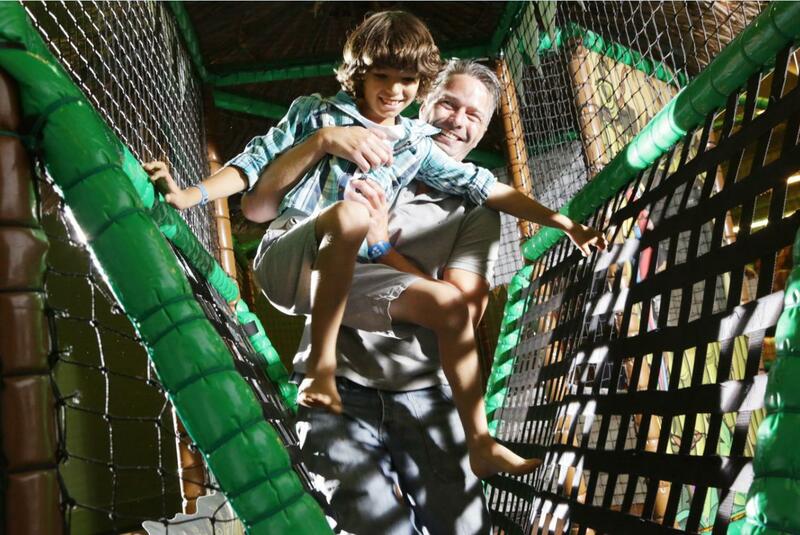 Look forward to a great holiday at Lalandia, where the family gets together to have fun. We should warn you that it might be difficult to make yourself go home again. The LEGOLAND tickets are to be paid for by credit card during the booking proces. The LALANDIA rent is to be paid for seperately. LALANDIA will forward an invoice with a payment link. 25% of the amount are to be paid upon receipt of the contract / remaining amount 30 days before arrival at the latest. In the impressive arcade, the sky is always blue, and you will feel transported to a place farther south. 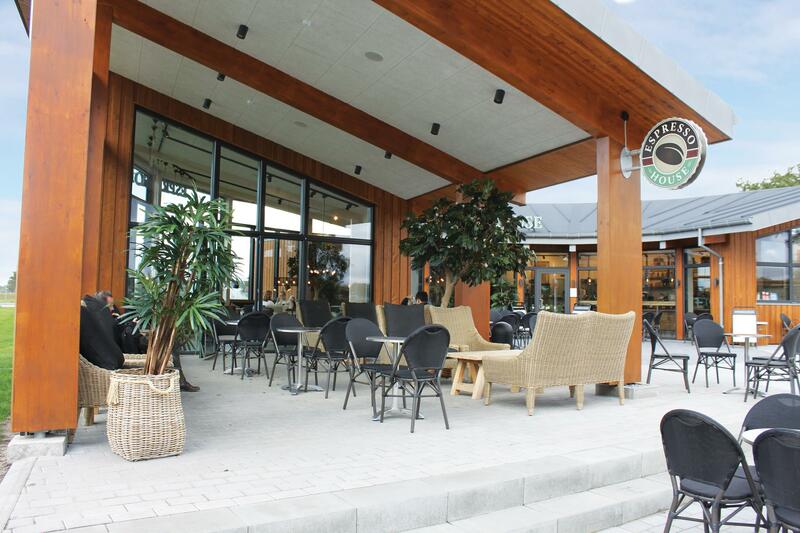 The attractive Mediterranean building facades house attractive and child-friendly restaurants, exciting shops and lots of entertainment for the whole family. When the day ends, there is entertainment on the stage in the beautiful amphitheatre. 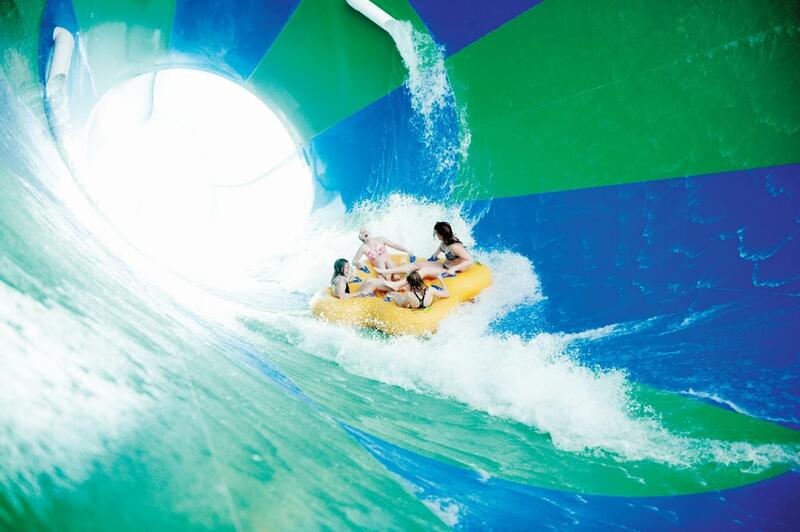 The 10,000 m² Aquadome™ is full of fun water activities for waterlovers of all ages. 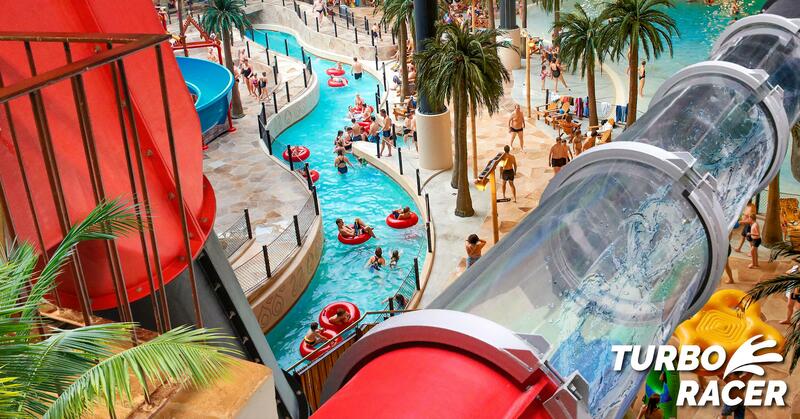 Take a trip down one of the many water slides or float down the stream in the Lazy River. 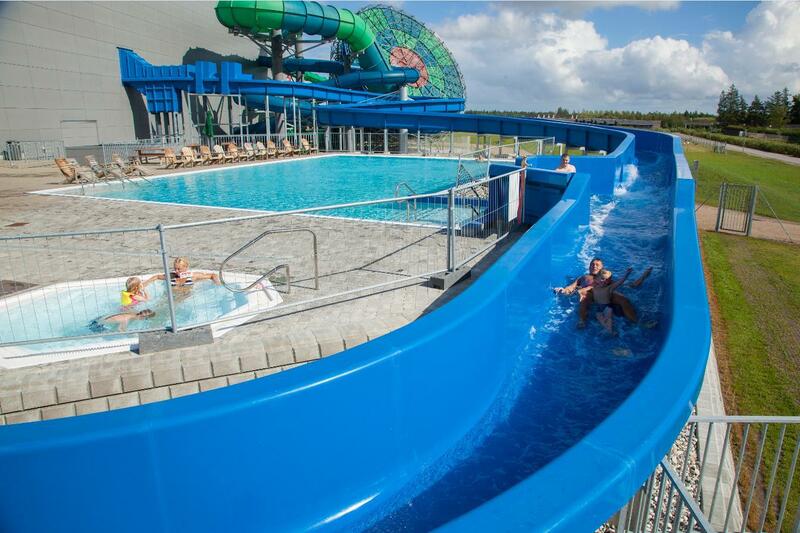 The children can go on an adventure in the huge water playland, and for the very youngest members of the family there are children's pools with extra shallow and pleasantly warm water. When hunger and thirst strike, the Deli Express in the Aquadome has lots of healthy options on the menu. Or take a fun time out and enjoy a refreshment in the Pavilion. 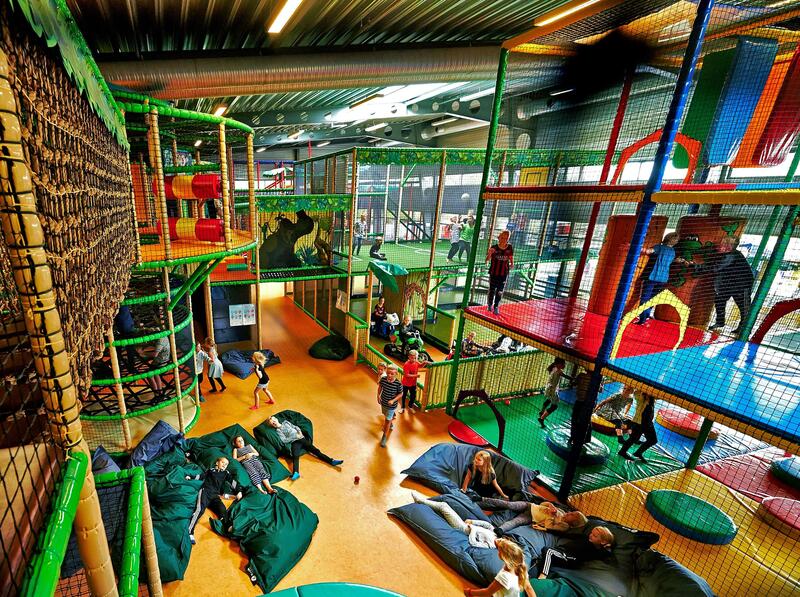 Let the children loose in the huge indoor playland filled with fun slides, ball pools and huge climbing frames. 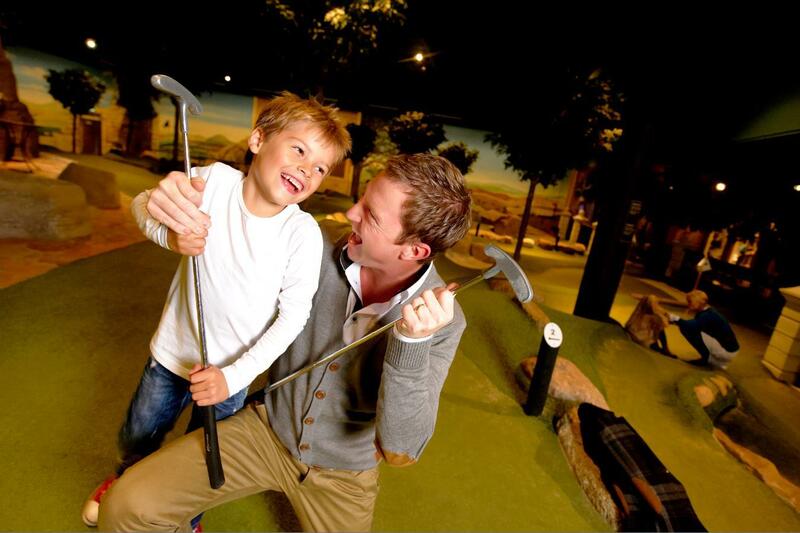 Invite your family to a match on the mini-golf course or in the bowling alley. There is plenty of opportunity to be active at Lalandia. You can take part in both fun and serious exercise in the huge sports hall and in the modern fitness centre. Please note: All photos of houses are examples.